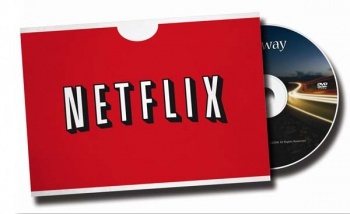 Reed Hastings hopes that when DVDs come back to Netflix, customers might do the same. Netflix CEO Reed Hastings has officially u-turned the decision to split his company into two separate services (one for physical rentals and one for online streaming) mere weeks after first announcing the controversial split. Unlike recent changes such as service price hikes and the formation of Qwikster, the reversal was announced quietly on the official Netflix blog instead of via mass e-mailings to its membership. "It is clear that for many of our members two websites would make things more difficult, so we are going to keep Netflix as one place to go for streaming and DVDs," Hastings wrote. "This means no change: one website, one account, one password... in other words, no Qwikster." The post also went on to describe the July price increase as a "necessary" one, but promised that the company is "now done with price changes." With prices now fixed (for as long as Netflix can stay true to those words), and the company remaining unified, customers will just have to hope that it can stay afloat by using its current model. With increasing trouble brewing in the U.S. Postal Service, the loss of popular streaming content, and rising competition from services such as Amazon Prime, this may be a difficult task. Still, the one good thing to come from Qwikster's initial announcement was that videogames would be added to the physical rental service, something that longtime Netflix junkies have clamored for since the rise of Game Fly. Sadly, Hastings' terse post said nothing of whether videogames would still be coming to Netflix or when, and with the company serving up one unpredictable move after another, any speculation at this point is difficult. It's interesting to note that unlike the previous cavalcade of Netflix changes we've been bombarded with recently, this statement didn't contain a single iteration of the word "sorry." As far as I'm concerned that's a step in the right direction. Maybe part of the problem Netflix has been having in holding on to its investors and customers has been because it's placated to them too much. After all, every time someone hears the words "I apologize" it makes them immediately feel as they've been wronged. Perhaps if Netflix had tried to make Qwikster exciting instead of marketing it like the leftover product of compromise, things would have gone better for it.